1.1.1 Proper administration procedures and facilities. 1.1.2 Sufficient floor-space for the exhibits, judging and viewing at the show. 1.1.3 Efficient lighting and ventilation. 1.1.4 Attractive exhibition facilities which will not exceed two-tiers above table height. 1.2.1 All shows to be held must be approved by the SPSA Board at the beginning of the showing season. 1.2.2 Notice of the allocations of the show dates will be available on the SPSA Website before end of January each year. 1.2.3 The show dates and changes to show dates must be published on the SPSA Website. 1.2.4 Any show which is not held according the SPSA Rules and Regulations will be declared null and void and no points will be awarded to any exhibitor participating at that show. 1.2.5 To exhibit at SPSA shows new exhibitors need to complete a SPSA membership application form. 1.2.6 There must be adequate security services during the duration of the show. 1.2.7 Every Associated Club shall hold its shows according to SPSA Rules and Regulations. 1.2.8 At least one copy of the SPSA Rules and Regulations shall be available at the desk of the Show Secretary. 1.2.9 Any SPSA Associated Club may set additional rules for the conduct of its show, provided they are not in conflict with these Rules, and such additional rules shall be deemed to be supplementary to these Rules and Regulations and be binding on exhibitors. 1.2.10 A Specialist Breed Club shall hold its shows in conjunction with a SPSA Associated Club. 1.2.11 Associated Clubs shall provide suitable scales for the use by judges. The scales should carry the SABS or any other accredited mark if possible. 1.2.12 Only feed and water provided by the Show Committee will be allowed in the show hall. 1.2.13 Feeding of birds is the responsibility of the Show Committee and a special person or persons shall be appointed to fulfil this task. 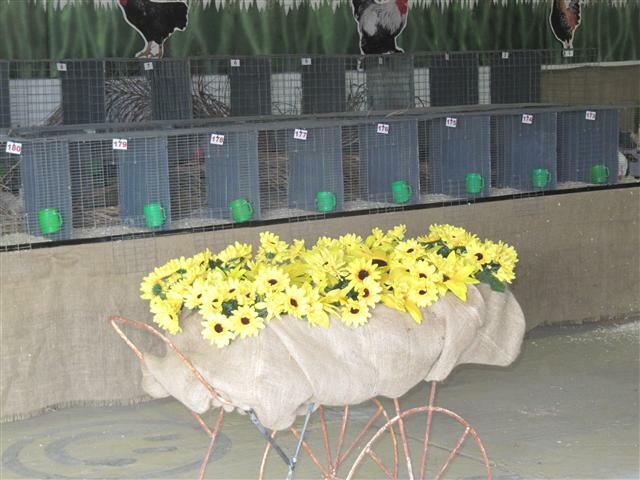 All exhibits will receive the same type of food and water for the duration of the show or at least until the last bird is judged. 1.2.14 No exhibitor shall be allowed to feed his own birds until the last bird is judged and only with permission of the Show Manager. 1.2.15 No exhibitor shall be allowed to feed any other exhibitor’s birds without the permission of the Show Manager. 1.3.1 The Show Manager or his representative must open every SPSA Show before judging may commence. 1.3.2 During the opening ceremony it must be announced that the Show will be held according to the SPSA MOI and Rules and Regulations. 1.3.3 If any additional Rules and Regulations are to be used for the show, these additional Rules and Regulations must also be announced. 1.3.4 The SPSA Manager must then declare the show open and judging may commence. 1.4.1 Any exhibitor, who may have accidentally taken a wrong bird from any show, shall within twenty four hours notify the Show Secretary thereof. Any failure to comply with this rule shall, unless good reason can be given for the delay, render such exhibitor liable to serious disciplinary action. 1.4.2 Any case of a bird being missed during the de-benching of birds at the end of a show period, or after leaving the show hall, should be reported to the particular Show Secretary immediately by the exhibitor. Any knowledge of losses after closing the doors at the show hall is deemed to be the loss of the owner of the bird.